Metro Car Removal is your used car buyer in Sydney. One that will offer you up to $7000 cash for your auto of any make and condition. With a focus on our customers, we provide the nicest way in Sydney to sell your vehicle. We come to you to buy it with cash! 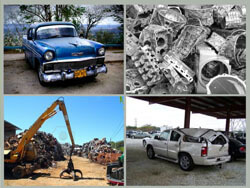 Give us a call today for a Cash for Cars and a free car removal. Ford, Toyota, Audi, Honda, Holden, Hyundai, Nissan, Isuzu, Mitsubishi, Proton, Suzuki, Subaru, BMW, Mercedes-Benz, Daewoo, Kia, Lexus, Mazda, Peugeot, Aston Martin, Alfa Romeo, and more. We’ll buy it for up to $7000 CASH. Get the cash sale you’ve been waiting for. Contact Metro Car Removal today. At Metro Car Removal, you get the conveniences of a cash sale and free car removals. We come to your location in Sydney metropolitan area to remove your vehicle for free. With 24-hour a.m. and p.m. car removals, you have your vehicle removed at a time convenient for you. Schedule your Car Removal at a time of the day when you have about 45 minutes to spare. We’ll be there to pick it up. To start, we are the car removal company that wants to pay you a fair price for your vehicle. 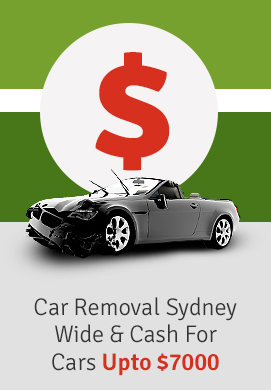 We are an established Used Car Buyer & Wreckers in Sydney that is fully licenced and insured and pays cash for cars. Our car buying policy is to make vehicle owners a quote over the phone or through our web page. Quotes up to $7000 cash. Our policy is also to come to your location in Sydney to remove your vehicle for free. As the professional auto buyers, you don’t have to be concerned with the cash for cars sale not being legitimate. We provide all the necessary paperwork that makes the deal legal. Our only requirement from you is that you have the interior of your vehicle cleaned out and the title of ownership or scrap title to the vehicle. Selling your vehicle to us is also quick and easy, taking less than an hour of your time. At Metro Car Removal, you have an instant local car buyer that pays you cash. Cash up to $7000 and comes to you to collect the vehicle anywhere in Sydney for free. 2. Look up to the top right of this page where you’ll see our “Get A Quote” form; simply fill out the form and click on submit. Selling your car, truck, van, 4×4, SUV, ute, Jeep, commercial vehicle, bus or bike is that simple. Give us a call today and we’ll make you a cash offer.